The promoter of this competition is Aardman Animations Limited, Gas Ferry Road, Bristol, BS1 6UN (“Aardman”). This competition is open worldwide to fans aged sixteen (16) and over, except for employees of Aardman, their families or agents, or any third party directly associated with this competition. If you are under 16 please ask a parent or guardian to take part on your behalf. Multiple entries from a single person are permitted. The competition is to win a selection of Shaun the Sheep merchandise plus a certificate (including free postage) (see the competition information for more prize details). The competition opens at 12:00 (UK time) on 04.02.2019 and closes at 12.00 (UK time) on 04.03.2019 (the “Closing Date”). Entries received outside of these times will not be accepted. To enter, entrants must email their entries to artyard@aardman.com, the email address given on the competition page of our website at https://shaunthesheep.com/win, by the Closing Date – please remember to attach your entry to your email! Aardman accepts no responsibility for entries that are not successfully submitted or received for any reason. 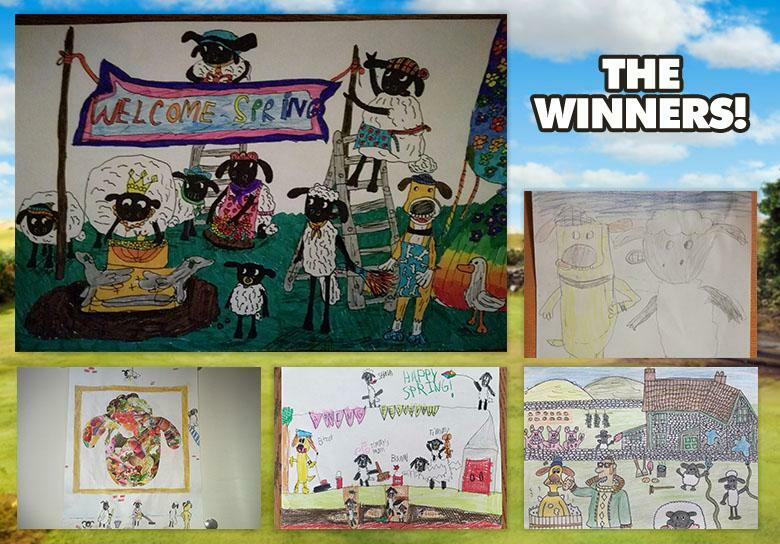 The winners will be notified by email and asked to reply to Aardman with their contact details to claim their prize. This should be done within a reasonable time after the Closing Date. If a winner does not respond to Aardman within a reasonable time (being at least fourteen (14) days) after being notified that they are a winner, then that winner's prize will be forfeited and Aardman will be entitled to select another winner in accordance with the process described above. The prize(s) will be sent to the winner(s) within fourteen (14) days of providing their contact details. The prize for the winner is non-exchangeable, non-transferable and no cash alternative is offered. Aardman reserves the right to substitute a prize of equal or greater value should circumstances make this necessary. Entries to the competition must not contain or comprise items, text or images which are in any way obscene, defamatory, libellous, discriminatory, hateful or violent (including inciting hatred or violence), unlawful in any way (including breaching the copyright or other rights of any third party), or otherwise offensive, upsetting or objectionable in any way. Entries should also not contain any pictures or videos of the person submitting the entry. The decision of Aardman regarding any aspect of the competition is final and binding and no correspondence will be entered into about it. Participants are deemed to have accepted and agreed to be bound by these terms and conditions upon entry. Aardman reserves the right to not accept entries that do not comply with these terms and conditions, or to refuse entry to, or to refuse to award the prize to, any person who is in breach of these terms and conditions. Aardman reserves the right to hold void, cancel, suspend, or amend this competition where it becomes necessary to do so. Aardman does not claim any rights of ownership in your competition entry. However, by submitting your competition entry and any accompanying material to Aardman you acknowledge and agree that you are granting Aardman a non-exclusive, worldwide, royalty-free, irrevocable licence, for the full period of any intellectual property rights in the competition entry and any accompanying materials, to use, display, publish, transmit, copy, edit, alter, store, re-format and sub-licence your competition entry and any accompanying materials for our business purposes. The winner’s first name may be posted on our websites and/or social media channels that relate to the competition. In addition, and in accordance with applicable competition rules (including the CAP code), the winner's first name, surname and county can be obtained by sending an email to artyard@aardman.com within thirty (30) days after the Closing Date. Entrants acknowledge that if they are a winner then their first name may be displayed on websites and/or social media, and their first name, surname and county may be made available to individuals who request this information within the timeframe above. Further information about the CAP code is available at https://www.asa.org.uk/about-asa-and-cap.html. The competition will be governed by English law and entrants to the competition submit to the jurisdiction of the English courts. 1. These terms and conditions relate to the Shaun the Sheep Knit Now Magazine Twitter competition, November 2018. 2. The promoter of this competition is Aardman Animations Limited, Gas Ferry Road, Bristol, BS1 6UN (“Aardman”). 3. This competition is open worldwide to fans aged thirteen (13) and over, except for employees of Aardman, their families or agents, or any third party directly associated with this competition. As per Facebook age restrictions, if you are under 13 please ask a parent or guardian to take part on your behalf. 4. Entry is limited to one entry per person. Multiple entries from a single person will not be accepted. 5. The competition is free to enter. 6. The competition is to win ONE copy of the November edition of Knit Now magazine including free postage. 7. The competition opens at 12.30pm BST on 09 November 2018 and closes at 12.30pm BST on 13 November 2018 (the “Closing Date”). Entries received outside of these times will not be accepted. 8. To enter, entrants must like, share and comment on the relevant post on the SHAUN THE SHEEP Twitter page by the Closing Date – please ensure your comment says what your favourite thing about winter is! 9. Aardman accepts no responsibility for entries that are not successfully submitted or received for any reason. 10. There will be five (5) winners. The winners will be chosen at random from all entries properly submitted before the Closing Date. Subject to the below, each winner will receive the prize described above. 11. The winner will be notified on the Twitter page and asked to email Aardman with their contact details to claim their prize. This should be done within a reasonable time after the Closing Date. If a winner does not respond to Aardman within a reasonable time (being at least fourteen (14) days) after being notified that they are a winner, then that winner's prize will be forfeited and Aardman will be entitled to select another winner in accordance with the process described above. 12. The prize(s) will be sent to the winner(s) within twenty one (21) days of providing their contact details. 13. The prize for the winners are non-exchangeable, non-transferable and no cash alternative is offered. Aardman reserves the right to substitute a prize of equal or greater value should circumstances make this necessary. 14. Entries to the competition must not contain or comprise items, text or images which are in any way obscene, defamatory, libellous, discriminatory, hateful or violent (including inciting hatred or violence), unlawful in any way (including breaching the copyright or other rights of any third party), or otherwise offensive, upsetting or objectionable in any way. Entries should also not contain any pictures or videos of the person submitting the entry. 15. The decision of Aardman regarding any aspect of the competition is final and binding and no correspondence will be entered into about it. 16. Participants are deemed to have accepted and agreed to be bound by these terms and conditions upon entry. Aardman reserves the right to not accept entries that do not comply with these terms and conditions, or to refuse entry to, or to refuse to award the prize to, any person who is in breach of these terms and conditions. 17. Aardman reserves the right to hold void, cancel, suspend, or amend this competition where it becomes necessary to do so. 18. The winner’s first name may be posted on our websites and/or social media channels that relate to the competition. 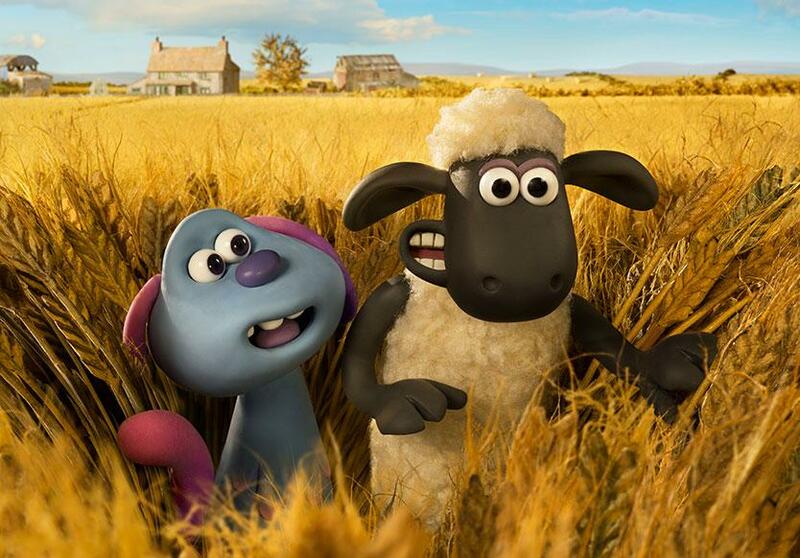 In addition, and in accordance with applicable competition rules (including the CAP code), the winner's first name, surname and county can be obtained by sending an email to FANS@AARDMAN.COM within thirty (30) days after the Closing Date. Entrants acknowledge that if they are a winner then their first name may be displayed on websites and/or social media, and their first name, surname and county may be made available to individuals who request this information within the timeframe above. Further information about the CAP code is available at https://www.asa.org.uk/about-asa-and-cap.html. 20. The competition will be governed by English law and entrants to the competition submit to the jurisdiction of the English courts. 21. If you have any questions about this competition, or about any other competitions Aardman have run previously, please get in touch with Aardman on FANS@AARDMAN.COM.